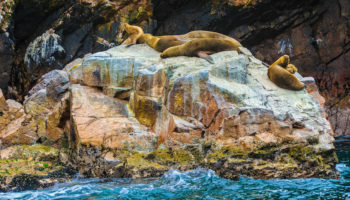 Travelers who want to know what life in Peru was like before the Spanish arrived should head over to the Museo Inka, one of the city’s top museums. The Museo Inka is filled with Inca artifacts; and is especially famous for its collection of Inca mummies and drinking vessels. Other exhibits cover jewelry, ceramics and textiles. 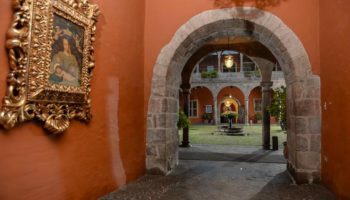 The museum, which was built on top of an Incan palace, is housed in what is known as the Admiral’s House, after the first owner, Admiral Francisco Aldrete Maldonado. In the sunny courtyard, Andean weavers demonstrate their craft and sell traditional textiles directly to the public. Most people know the Incas were great builders, but many travelers may not be aware they also were great astronomers. 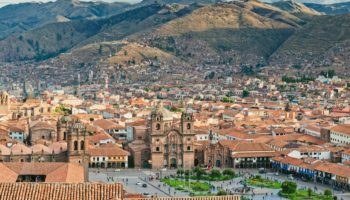 They defined constellations, and even constructed Cusco’s main streets so they would align with the stars at various times during the year; Cusco was, after all, the center of their universe. Visitors can learn what constellations were important to the Incas and how the stars ruled their lives during nightly tours. There is also the chance to look up at the heavens through powerful telescopes on a visit to this great attraction in Cusco. Advance reservations are required. Every year on June 24, Cusco hosts the second largest festival in South America when it celebrates the Inti Raymi Festival. This Festival of the Sun originated centuries ago to celebrate the winter solstice, which is in June in the southern hemisphere. The festival was banned after the Spanish conquered the Incas, but returned in the mid-20th century. 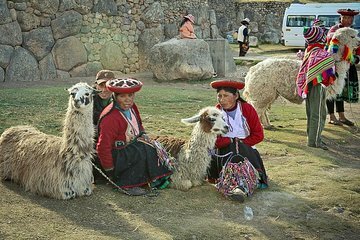 Today, Peruvians wear traditional costumes to celebrate with dancing and parades, but mass sacrifices are no longer carried out, as the Incas re-enact their life in its heyday. The colorful scene takes place at Sacsayhuamán just outside Cusco. A great example of stonemason techniques practiced by the Incas is the Twelve Angle Stone found in the middle of Hatunrumiyoc, a narrow cobblestone street that is one of the best preserved Inca roads in Cusco. A wall that was once part of an Inca palace, dominates the street. The 12-sided stone structure features 12 perfect corners. The stones come together so tightly that nothing can be inserted between them, though no mortar is used. Visitors say night is the best time to get photos of the stones. The Pre-Columbian Art Museum is considered one of the finest collections of Pre-Columbian art in Peru. 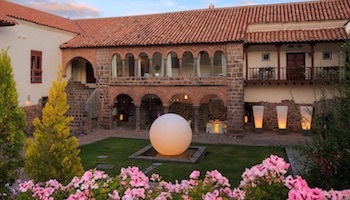 The 15th century Inca ceremonial courtyard was turned into a home by the natives’ Spanish Conquistadors, but was restored to a museum in the early 2000s. 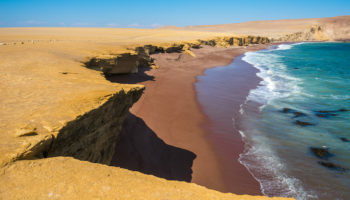 Texts in English, French and Spanish explain the art of early Peruvian culture, including the Nazca and Moche galleries of multicolored ceramics and jewelry made with intricate gold- and silverwork. 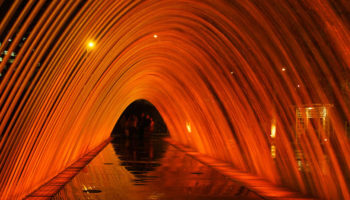 Located on the Plaza Nazarenas, the Museo de Arte Precolombino is one of the major tourist attractions in Cusco. 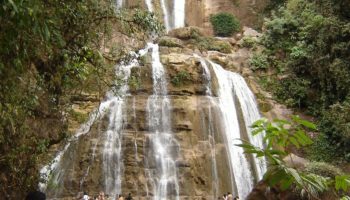 The works on display were created between 1250 BC and 1532 AD. Travelers who want to buy locally made art works and handcrafts gravitate to the Barrio de San Blas, one of Cusco’s most picturesque neighborhoods. 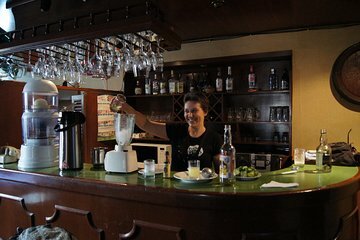 Its narrow streets, many of which are pedestrian only, are lined with studios and workshops, as well as bars and restaurants for travelers looking for some nightlife. The neighborhood is located not too far from the Plaza de Armas, but visitors should be prepared to climb seep streets to get there. A good place to view the city, the Templo de San Blas, the city’s oldest parish church, is located here. The Coricancha, originally named Inti Kancha (‘Temple of the Sun’) was the most important temple in the Inca Empire. The walls and floors were once covered in sheets of solid gold, and the courtyard was filled with golden statues. 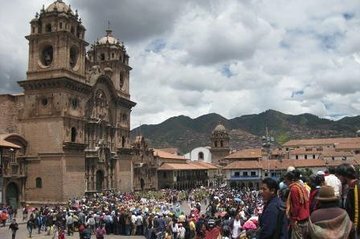 The Spanish ransacked and looted the temple before building the 17th century Baroque church on top of it while using the Inca foundations for the new construction. Major earthquakes severely damaged the church, but the Inca stone walls still stand. 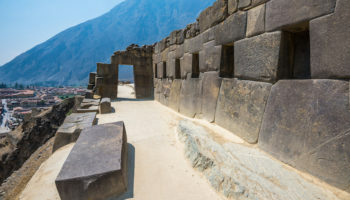 These walls are a fine example of the excellent stonemason work done by the Incas. Cusco Cathedral, officially known as the Cathedral Basilica of the Assumption of the Virgin, took nearly 100 years to build, beginning in 1559, but the exterior, shaped like a Latin cross, is stunning. The conquering Spanish forced the Incas to build the church on the foundation of a former Inca temple; the Spanish chose to build the cathedral here because they wanted to eradicate the Incas’ religion. The stones were taken from another Inca holy building. The church is the most important Catholic church in Cusco. Situated on the Plaza de Armas, the cathedral also showcases artworks from Cusco’s colonial past. Located high above Cusco at an elevation of 3,700 meters (12,000 feet), Sacsayhuamán today is considered one of the world’s greatest walled complex. The Inca captial, was laid out in the form of a puma, the animal that symbolized the Inca dynasty. The belly of the puma was the main plaza, the river Tullumayo formed its spine, and the hill of Sacsayhuamán its head. There are three parallel walls built in different levels with carved limestones of enormous sizes. It is suggested that the zigzagging walls represent the teeth of the puma’s head. The Plaza de Armas is the center of the historic section in Cuzco. The original plaza was built by the Incas and was known as the “square of the warrior”. 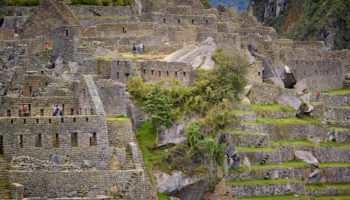 Almost twice the current size, it functioned as the cultural center of Inca life. Cuzco was designed in the shape of a Puma and the plaza was intentionally built at the location of the heart. The Spanish reduced the size of the plaza by building two Churches, the Cathedral and the Church of La Compañía. It’s worth visiting the plaza at least twice, by day and by night, as it takes on a strikingly different look after dark, all lit up.